Lumen Christi opened in 1985, is the name and the theme of the Retreat complex which means “The Light of Christ.” The complex is situated on 50 acres, consists of a main retreat facility for adults, Pere Menard Building, and a youth and group retreat facility, Souby Building. The complex is well named because of the natural lighting in the corridors, chapel, library and dining areas. The corridors and private rooms display over 100 oil paintings on local topics by local artists. An outdoor Way of the Cross portrays in a moving way, the passion and death of Jesus. 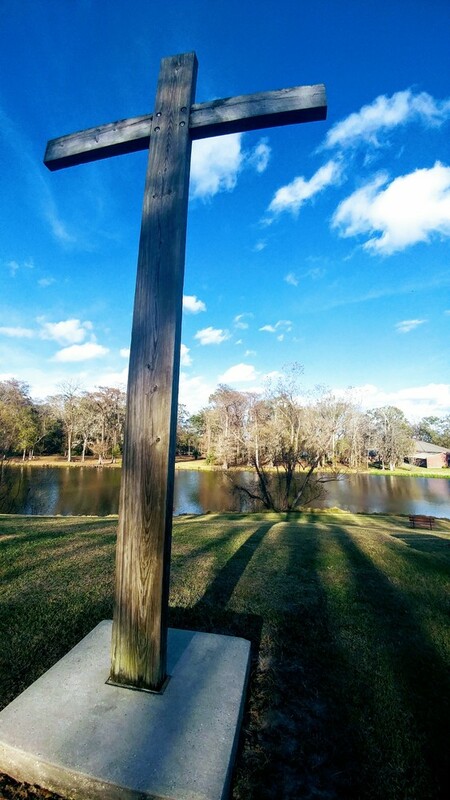 The beauty of the Louisiana landscape reflects the brilliance of Christ, the CENTER and the MEANING of all creation. The tradition of making a spiritual retreat is in every religion. Jesus led the apostles to quiet places to pray and prepare for their work. Since the beginning of Christianity, Christians have gone in the desert, mountains and other serene settings to be spiritually renewed and become more aware of the presence of God in their lives. We too need to retreat. God has given us wonderful gifts of life including family, friends, job, school and recreation. Sometimes these everyday commitments are capable of taking too much time, attention and energy. Our lives get out of balance.